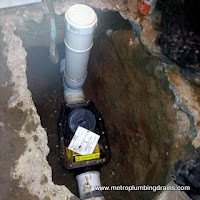 During sewer backup the backwater valve prevents sewage water to run back into your home via the drain pipes installed. Under normal circumstances the water flows away from you house, but in some situation water can be forced back into your home. The most common backwater places of entry into your property may be through basement floor drains, water closets, sinks and this is when the backwater valve comes in. How Do You Know if You Need Backwater Valve Installed? If you have an existing home, the municipality's building code dictates that you need to have a backwater valve installed on your property below the initial upstream manhole. However, not every home will need a backwater valve and in order to find out for sure you'll need to ask a plumber who specializes in backwater valves about it. Should You Try to Install Backwater Valve Yourself? Quite often homeowners attempt to repair or replace the bacwater valves themselves. Attempting to do so without the proper skills, experience and right tools can make matters even worse. And please do not forget that you can not install a backwater valve without a special permit issuied by the municipality. Call our team of professionals and take advantage of our FREE ESTIMATE promotion. Why Hire Us for Backwater Valves Installation? We have been installing backwater valves for our clients for many years and if you need one installed or just have a question just call give us a call at (416) 457-8696. 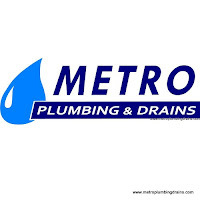 We offer a free camera inspection with every drain project, so you can rest assured you have 100% proper diagnostic of your plumbing problem. From detection, installation or repair our plumbers can handle everything. 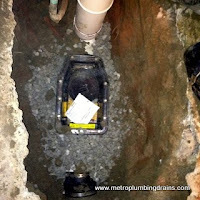 We are licensed plumbers and we get the job done right the first time.